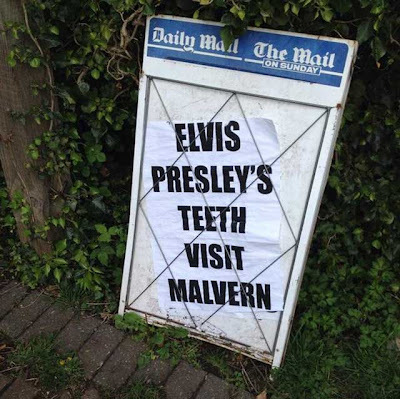 A dental practice in Malvern, Worcestershire, is to play host to Elvis Presley's teeth. For one day only, on Wednesday 30th April, Beacon Dental Care will take temporary charge of the King’s Crown – a model of Elvis Presley’s teeth together with the genuine crown made for the star by former Memphis dentist Henry J Weiss. Dentist Dr Karen Sutton says the day has a serious message behind it, raising awareness of mouth cancer with free mouth screenings on offer. 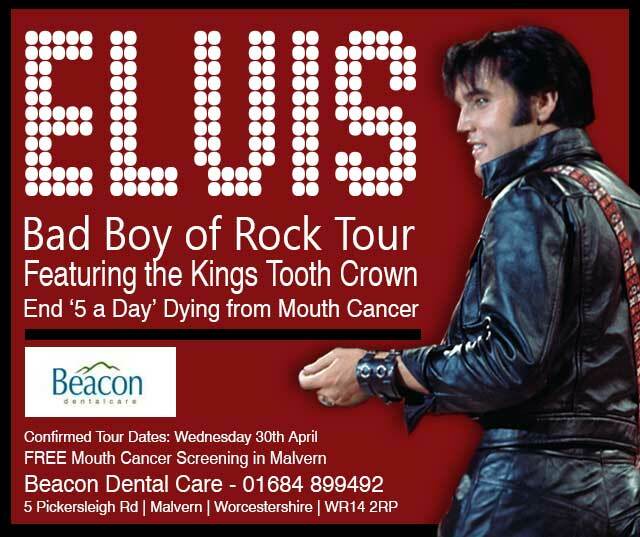 “Beacon Dental Care is thrilled to have been selected to host the prized object which is on loan for a day,” said Dr Sutton. 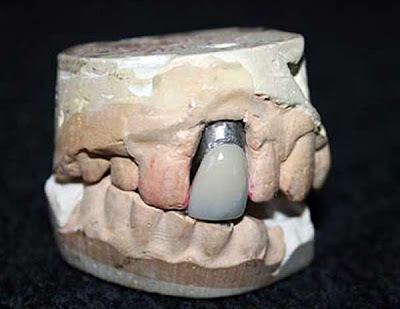 It is believed Elvis had toothache shortly before his death in August 1977 having visited a dentist the night before. Elvis’ crown was bought in auction in February 2012 for $11,000 by Michael Zuk, a Canadian author, dentist and obsessive collector of celebrity teeth. Great. One thing to remember - Elvis's coat once went on tour too.